THE WARRIOR’S WAY Opens DECEMBER 3! Enter to Win Passes to the St. Louis Advance Screening! 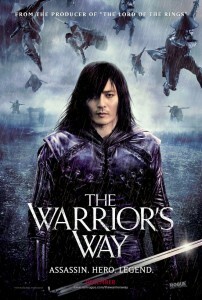 THE WARRIOR’S WAY OPENS DECEMBER 3 NATIONWIDE. An Asian warrior assassin struggles to finds peace, contentment and perhaps love in a forgotten western town on the edge of the desert. SCREENING IS THURSDAY, DECEMBER 2ND.